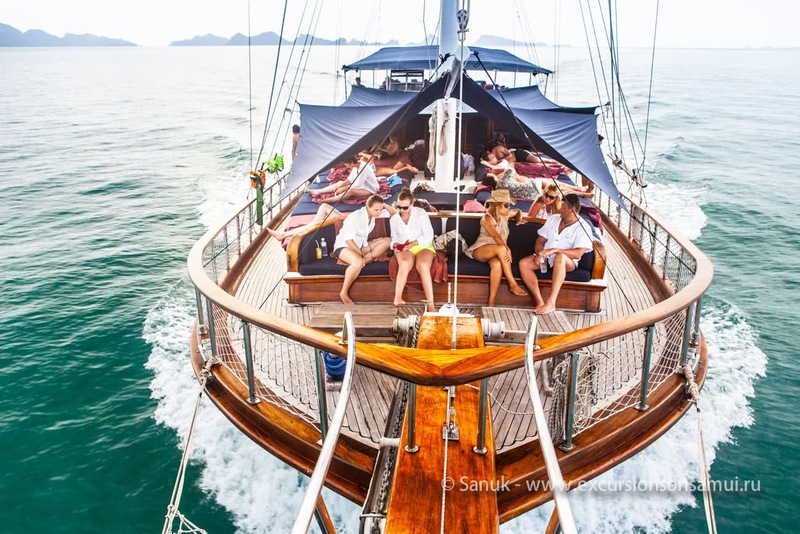 One of the most beautiful yachts in Koh Samui offers you to go on the unforgettable journey to Angthong National Marine Park not as a usual tourist but as a special guest! 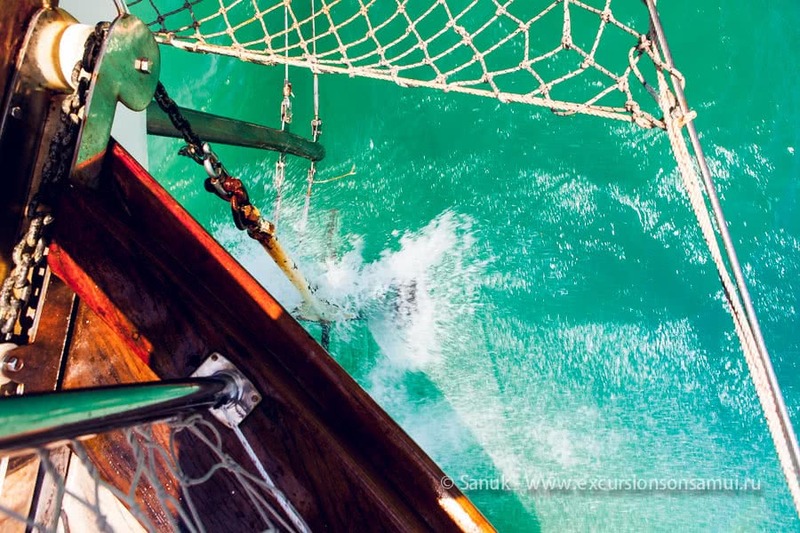 If you are addicted to the sea and like sea adventures, if you dreamed to become a captain in your childhood, if infinite distances in Gulf of Siam attract you, this trip is for you. 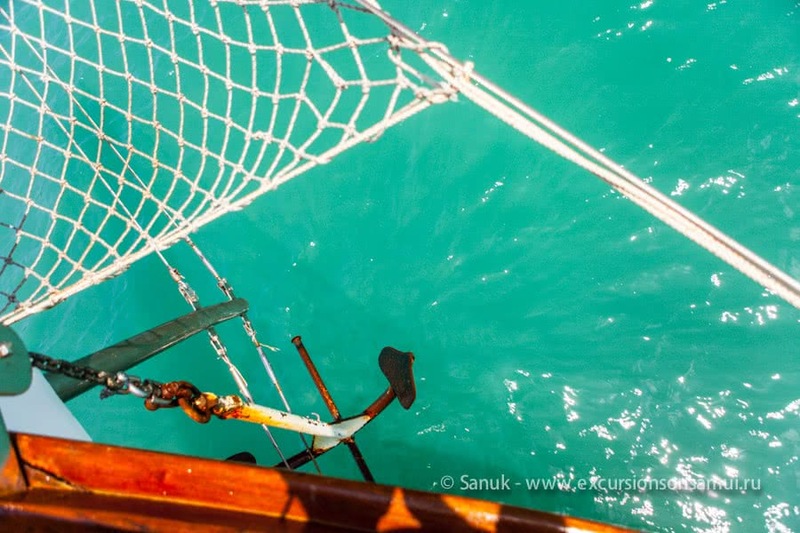 At half past eight 30-meter, the sailing yacht will head to 42 uninhabited islands of Angthong Marine Park which was created in 1980 to preserve local unique fauna. Immediately after departure hot breakfast will be served on board. Then you’ll have leisure time in the fresh sea air. You can comfortably sunbathe on the soft sun beds, walk along the deck, or have a cup of tea or wine with nice fellow travelers. The first time the Naga will drop the anchor near Wua Ta Lap, the largest island in the Marine Park, to which a small motor-boat will take you. 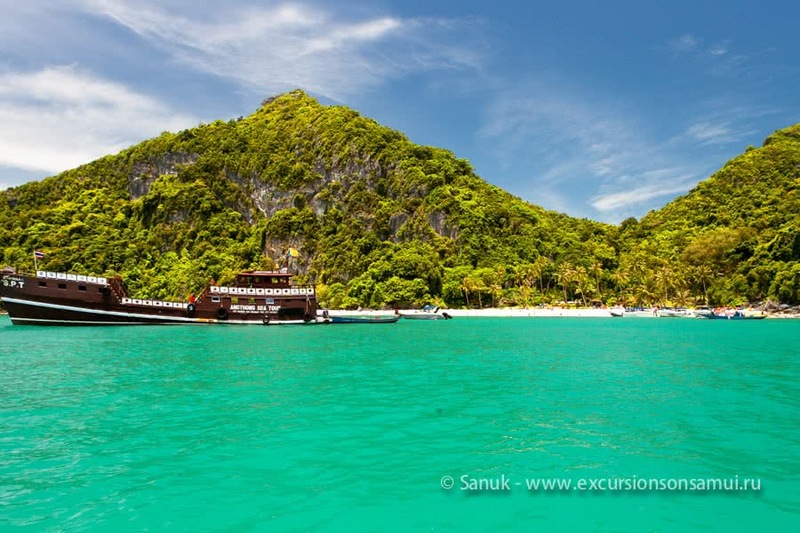 Besides the main office, there is a restaurant, museum, Bua Boke cave, path with beautiful viewpoints, and wonderful beach. 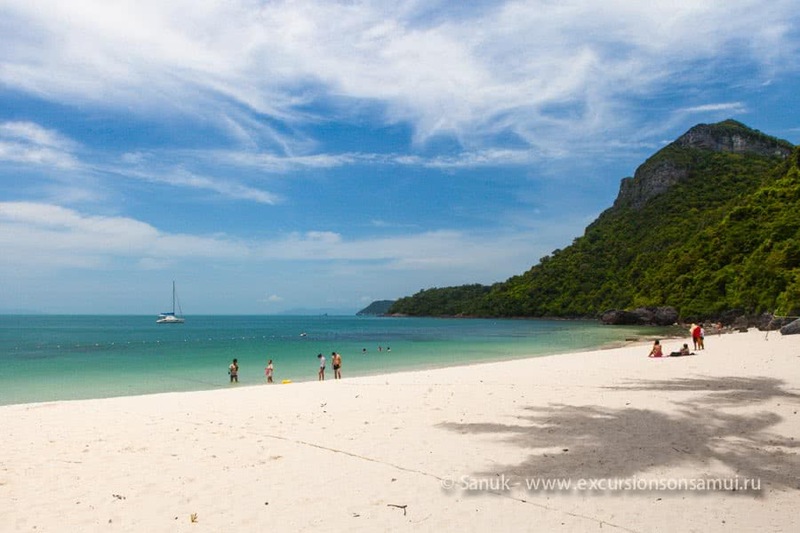 On Koh Wua Ta Lap you can swim, snorkel or sunbathe. 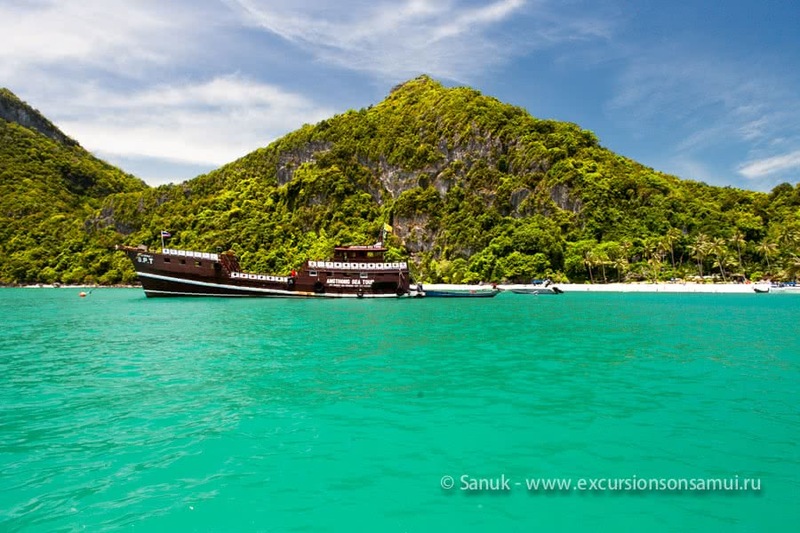 After such an active rest, a hot Thai lunch will be served on board. 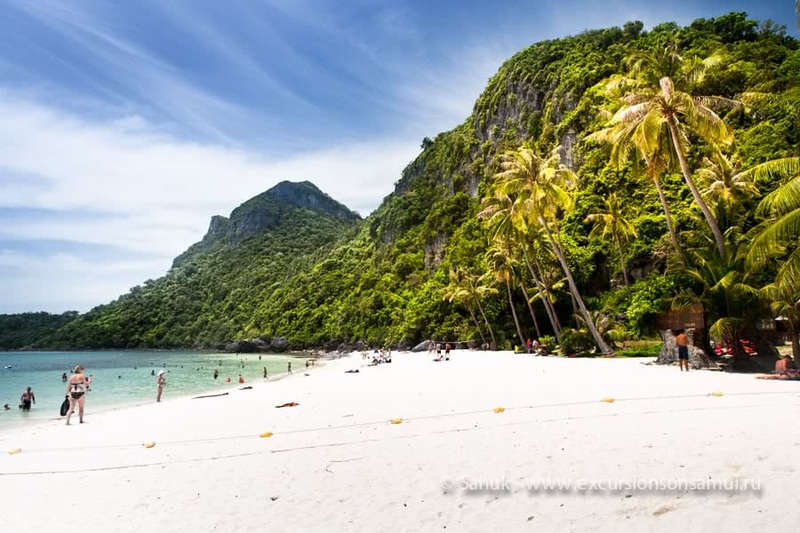 The next stop is Koh Mae Ko (Mother Island). 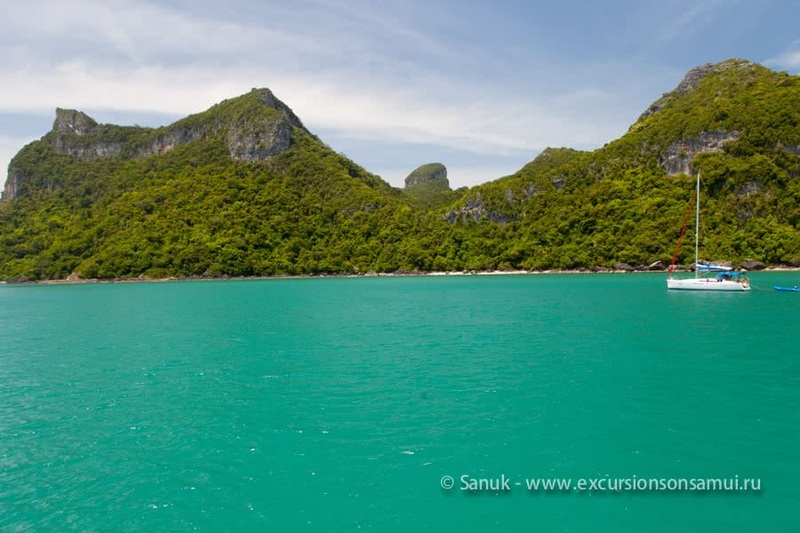 Its main sight is Emerald Lake which cannot be seen from any part of the island, it is hidden by rocks. Mother Island is a former volcano, and Emerald lake was formed in its crater, it is salt as it’s linked with the sea by the underground tunnel. Some ancient fish can be found in the lake. You will be able to swim and dive from the yacht, and then hot tea with cookies will be waiting for you on board. 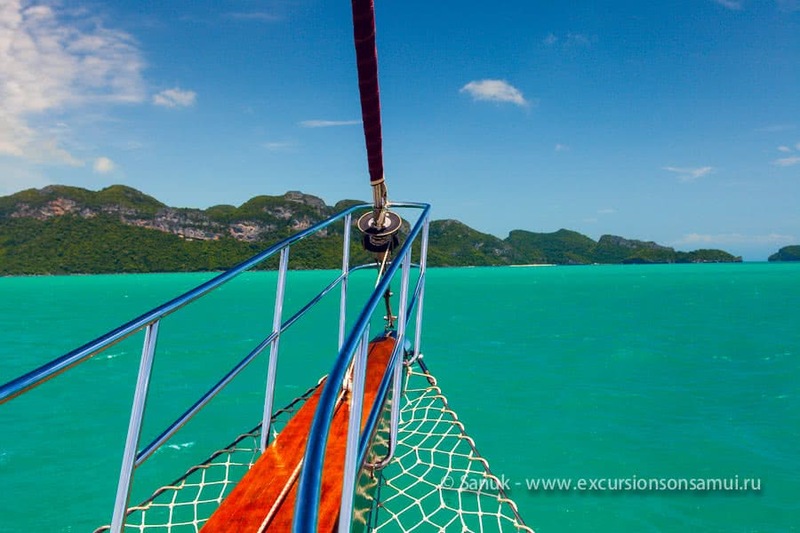 Afterward, the Naga will change its course to Koh Samui, and you will have some extra hours of full relaxation. Arriving at the pier you’ll have time to enjoy a beautiful sunset. 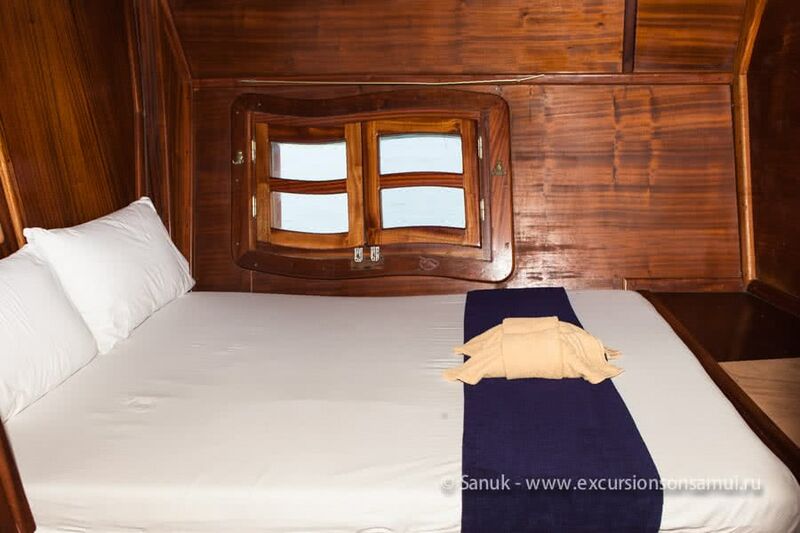 During the trip, you will be offered various snacks and fresh fruits. Onboard there are 4 cabins with shower cabinet and a lavatory. 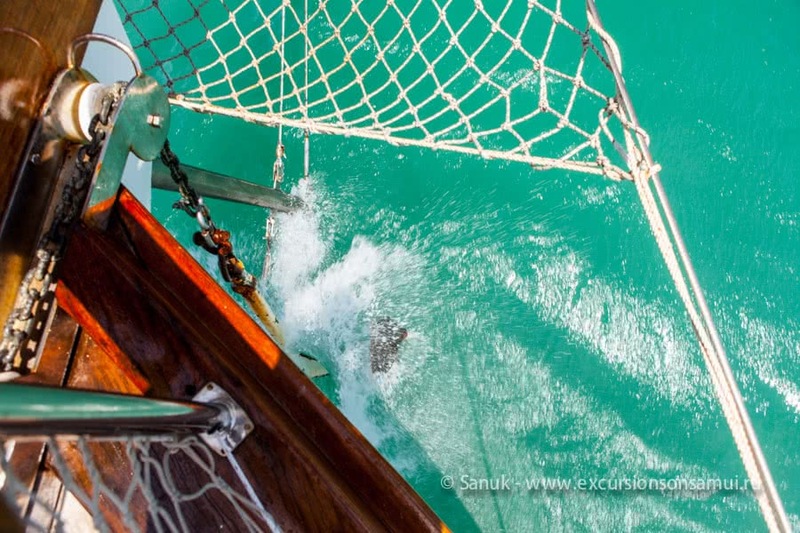 Reviews for "Angthong marine park day cruise by “Naga boutique yacht”"